Netflix apologizes. Is it enough? I’m not sure people responded the way they did because the announcement was worded poorly. I’m pretty sure it was because the price increase, and the justification for it, were out of line with consumer expectations. That’s right, the price increase is necessary because Netflix wants to market the services we’re already paying for to us differently. 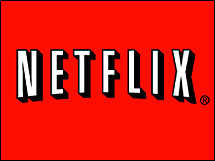 Of course I might just be treading old ground here and burying the lead: Netflix will no longer deliver DVDs by mail. That sounds worse than it is. Netflix is rolling out Qwikster (which sounds like a convenience store) for the DVD service, and the Netflix brand will stick with streaming. There will be two different websites, and two different queues (another WTF? for Netflix, though Hastings is aware this is a “negative”). On the plus side, Qwikster will be adding upgrade options for video game rentals. We’ll discuss the costs when they are announced. Clearly the handling of the price change was poorly executed. They announced the plans a couple months before the changes happened, and then about a month after that they’re splitting the business in two. In the meantime, they lost millions of subscribers. But even this apology was handled poorly, because it’s really an announcement for Qwikster, which should have had its own announcement. How should it have been done? Netflix should have held off any plans for the future until they announced Qwikster, at which point they could have told their Netflix subscribers that Netflix was out of the DVD-by-mail business, and all accounts would become $7.99 per month streaming accounts. Then point their subscribers to the new Qwikster service for those who want to sign up, and even offer coupons for loyal subscribers for free upgrades or a month free at their current DVD limit level. Hey Reed, I’m available any time you want advice. Hit me up.